With its tongue and groove panels and diamond shaped windows, this double composite door has a distinctly traditional feel. These composite French doors are an ideal way to welcome additional light into your home, without compromising on privacy. 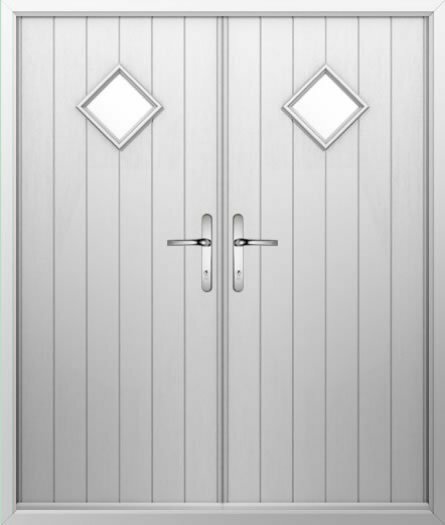 Designed to optimise security, durability, and energy efficiency, these double doors are perfectly equipped to stand up to the demands often placed on composite French exterior doors. And, as with all of our composite French doors, this design is available in a huge range of colours – so you can easily complement your existing décor!